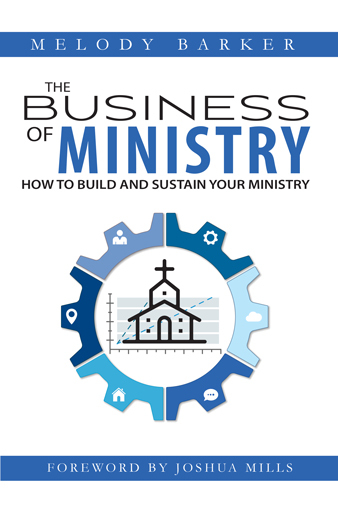 Does the thought of handling the administration and finances for your ministry overwhelm you? 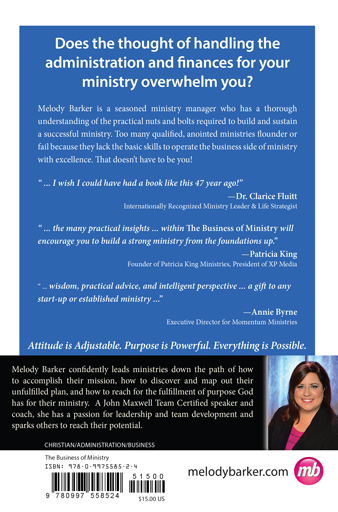 Melody Barker is a seasoned ministry manager who has a thorough understanding of the practical nuts and bolts required to build and sustain a successful ministry. 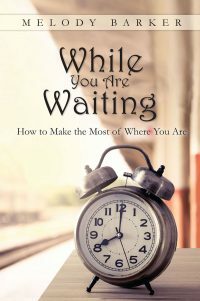 Too many qualified, anointed ministries flounder or fail because they lack the basic skills to operate the business side of ministry with excellence. That doesn’t have to be you!